Please take a look at our FAQS below. If you have any further questions, please don’t hesitate to contact us. This is where all the boring stuff lives..? Will my DJ take requests on the night? Yes of course. We are more than happy to take your musical requests on the night… don’t be shy come have a natter with us!? Do you perform at private events such as birthdays, christmas or weddings? YES, certainly do! We supply DJs to every conceivable type of event:-Corporate event, summer and Christmas parties, charity fundraising events, balls, proms, street parties, boat parties, festivals – and every type of private party or celebration you could imagine..! Can you set up the sound / light equipment earlier in the day before my event? Yes we can! We will always arrange delivery, installation, testing and collection of equipment to fit in with your schedule on the day of the event. Who will my DJ be? Yorkshire DJ Beats will not assign a DJ to an event until around two weeks before. We will assign your DJ based on availability and who is best suited to your specific event. Drop us a line if you require a specific DJ? When will the DJ arrive at the venue? Your DJ will arrive one hour prior to the event start time. If you require your DJ to be on site at the venue earlier then please discuss this with us. Drop us a line or use the contact form. Please visit our ‘online booking’ page, send us your preferred venue, date and times and we will get back to you to confirm the booking. You can move to a new booking date (subject to availability) for no extra fee. If your event is more than 48hrs away, then your deposit would be retained but your balance would not be due. If your event is within 48hrs then full booking fee would be retained as it would be too late for us to reallocate your DJ to another booking. Do we have PAT certificates for all our equipment? Yes. PAT certificates for all hired equipment are available on request. Just ask us! Do your acts have Public Liability Insurance? Yes. Each DJ has their own PLI. If you need a copy to provide to your venue, please let us know and we will send over the documentation. Yorkshire DJ Beats provide music entertainment for weddings, birthday parties, anniversaries, seasonal parties and corporate events. 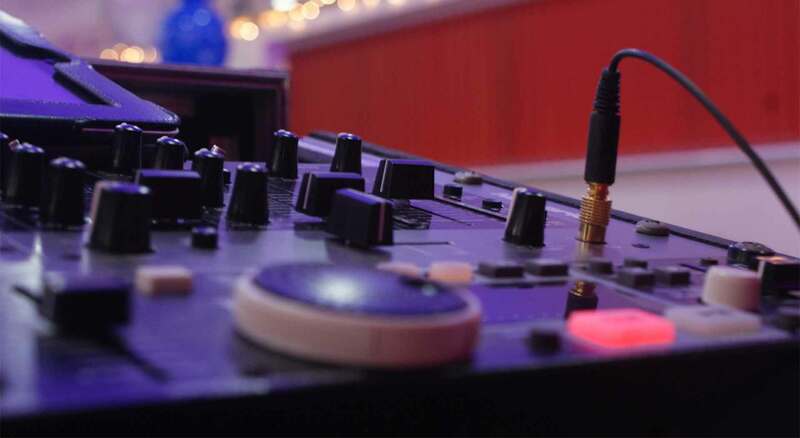 With a varied selection of sound and lighting equipment and access to over 50,000 tracks, we are able to give your event the perfect party atmosphere.